The National Lottery Community Fund is the largest funder of community activity in the UK. It puts people in the lead to improve their lives and communities, often through small local projects. Building Better Opportunities is a National Lottery Community and ESF funded project designed to tackle poverty and promote social inclusion throughout Worcestershire, this project is proud to tell you the story of Vicki Houghton. Vicki has been a full time Carer for her son for many years, however, due to him going to a residential college she found herself at a bit of a loss with what to do. She had a chat with one of our BBO Job Coaches to see how we might be able to help her start to look for work. 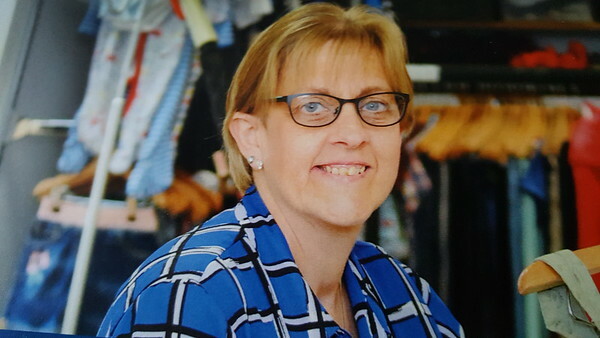 Vicki was very keen to find employment and although she had not been in paid work for quite a few years, she had been keeping her skills up by working in a local charity shop, which she really enjoyed. We started focusing on job searching and after a discussion about what type of job she was interested in, she decided that she would like to work in a school, possibly as a Lunchtime Supervisor. We updated her CV, which she is now very proud of and registered her with a school specific job site - Eteach.com and started searching and applying for jobs in schools. Vicki identified two jobs that she wanted to apply for at local schools and we completed the application forms together taking special care on the supporting statement section and making it specific to the job description and person specification. Very soon Vicki had interviews for both positions and we prepared her for these by researching the schools and practicing common interview questions. Vicki attended her interviews and was offered a two week work trial at one of the schools which was fantastic. Unfortunately, during her time at the work placement, Vicki realised that due to her health conditions the work was too demanding for her and she was becoming too fatigued to continue. It was decided by Vicki, her Doctor and the school that she would withdraw from the role. This was a big setback for Vicki as she had been so excited about getting a job. After much discussion, Vicki felt that looking for work at present was not viable so we decided to have a change of focus and look towards training that would support Vicki to find a more sedentary job in future. We decided that updating her IT skills would improve Vicki’s confidence and support her in looking at administration roles in the future. We visited The Point in Kidderminster to discuss their courses and Vicki enrolled on a Functional Skills IT course the next week. Vicki is so excited to be learning again and improving her skills as she feels that this will benefit her in the long run. Vicki plans to complete her IT course and gain a qualification that will help her to secure future employment in a role that suits her needs. She has remained good humoured and driven throughout her time on BBO and has been a pleasure to work with. If you or anyone you know would benefit from the support of a dedicated Job Coach who will work with you to build on your own strengths and abilities to gain the confidence and skills to move into work, please get in touch now, we are waiting to hear from you. Call 01562 733133 or email jobscoach@vestia.org.uk.